No VL descrimination, no matter if youre Turbo, N/A, V8, HDT, HSV, standard or highly modified, BRING IT! Lets make use of this warm weather for a sunday drive. 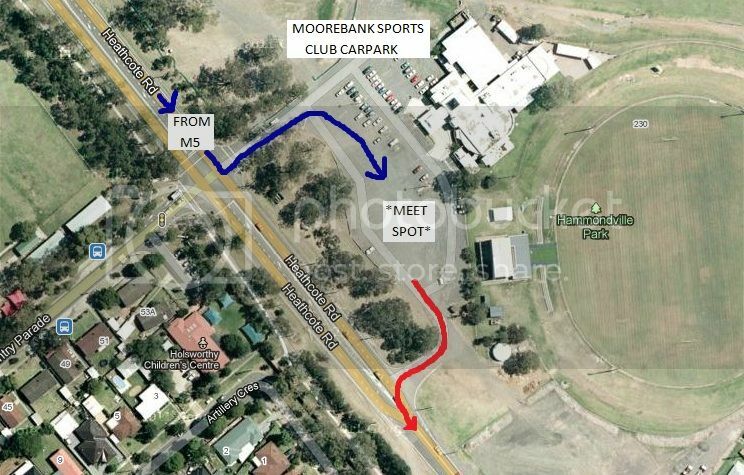 Once youre on Heathcote road, you will see netball courts & soccer fields on the left. Turn LEFT into the Sports at the set of lights. You cannot miss it. The entrance path is drawn in BLUE. Upon departure, there is a side exit road drawn in RED. This way, all of the cars can leave in unison without being split up because of traffic lights. Last edited by FLY-03L; 30-10-14 at 19:09. Wish I had my calais.. I'll be there, either red or blue vlt, whichever one is running. The balls really starting to roll... got 25 confirmed. I know theres at least another 25 that havnt commented and will show up haha. This page has got 1300 hits!!! Its a flow on effect, the more people that confirm entices more people to confirm themselves aswell. 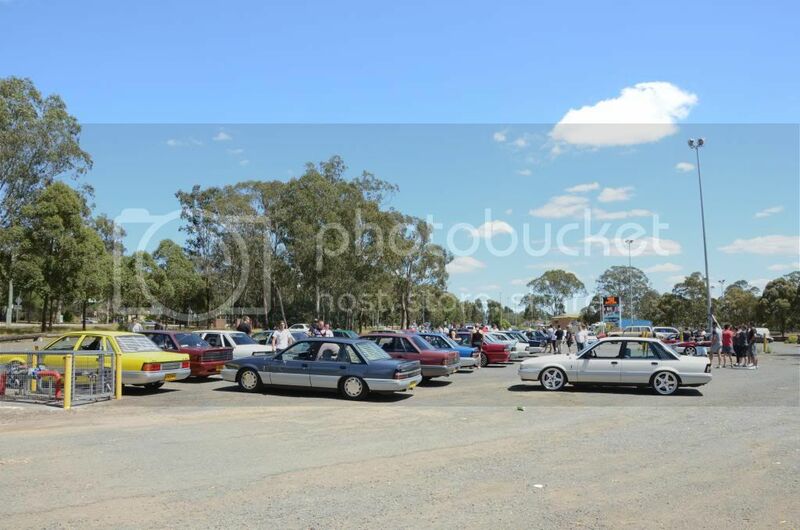 Got stockers, p platers, calais turbos, 10 second 1/4 mile street cars and 355 strokers alike! lets go! Two weeks away everyones.... cars ready!? Is this run still going ahead? Cool, think I'll try make this one. Just letting you know Temps for Sydney and Wollongong for Sunday will be 36deg and 33deg respectively. Hope temps change on the day, nothing's written. anyone coming from newcastle and want to meet up before? I assume their will be a few people taking photos with high quality cameras ?